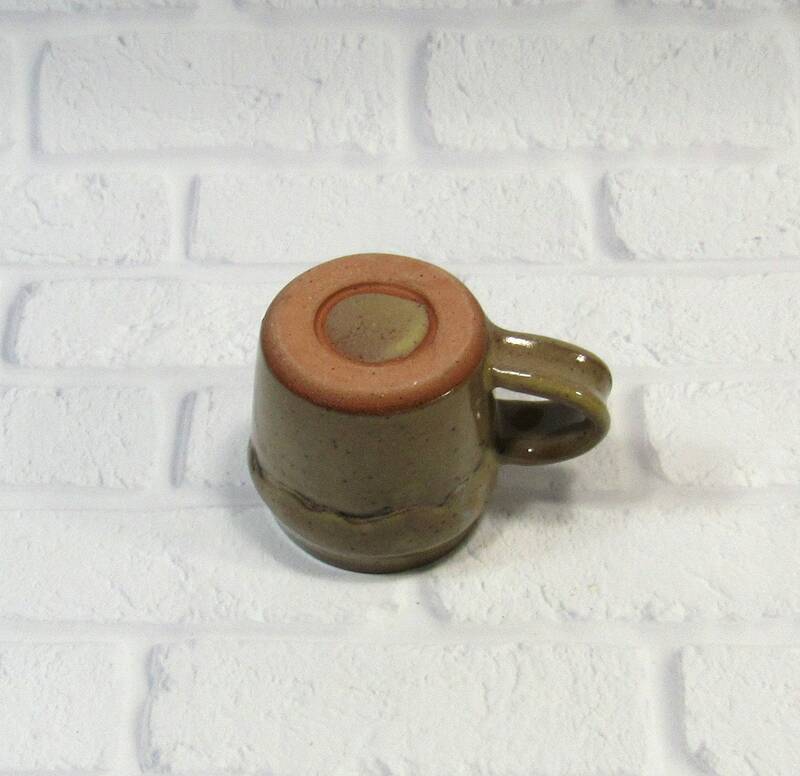 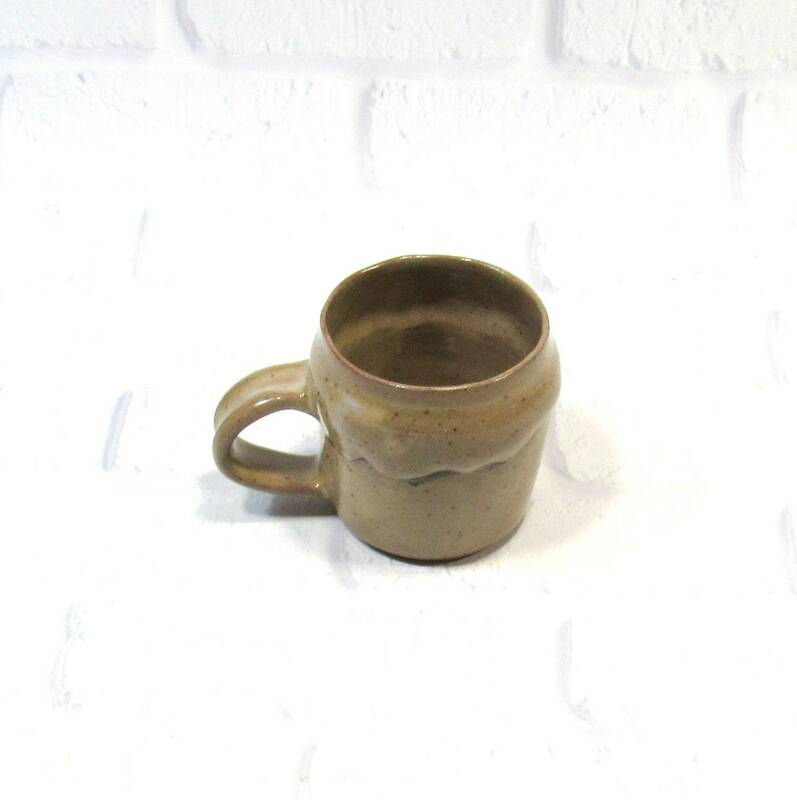 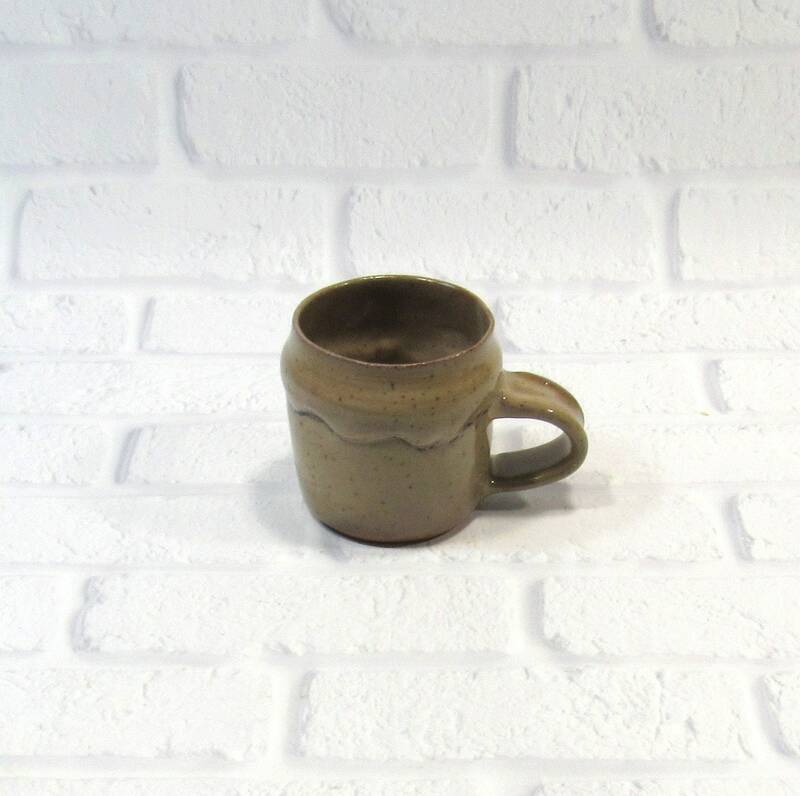 Enjoy your tea, coffee, espresso, cortado or cappuccino in this lovely handmade pottery cup. 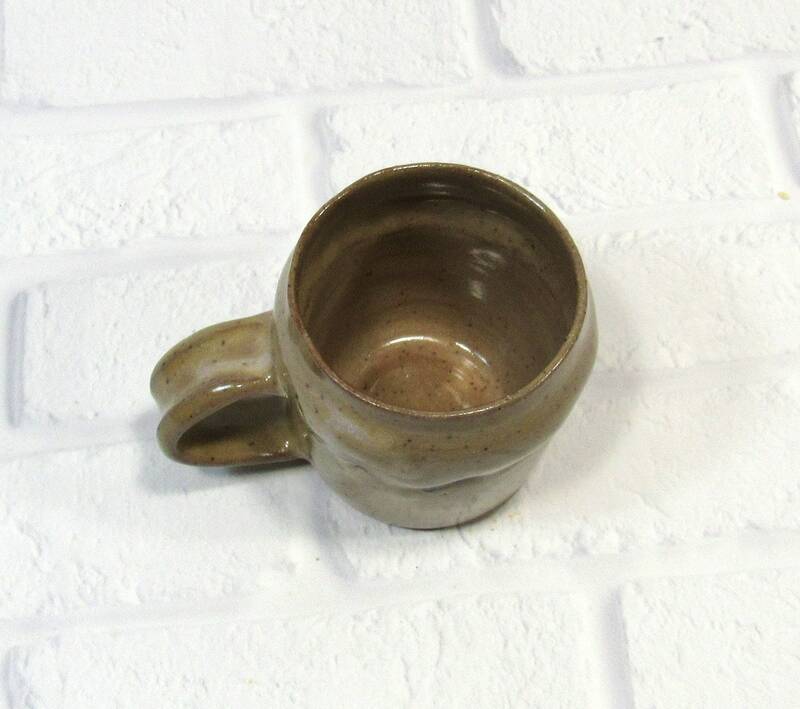 The espresso cups in this set are 2.25 inches tall and 3.25 inches in diameter and hold 8 fluid ounces. I made this mug on the potter's wheel in my Virginia studio. 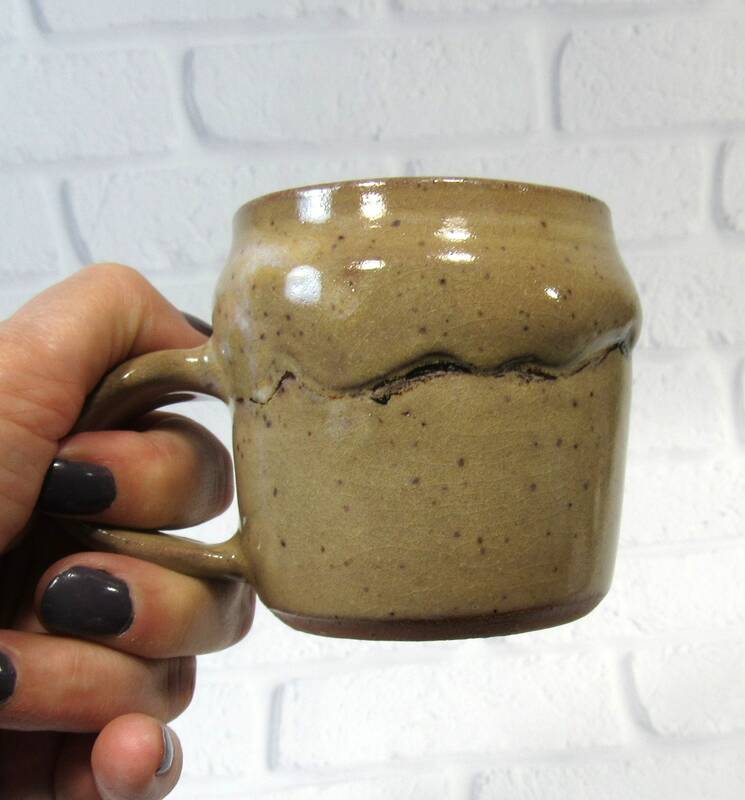 While the clay was still wet, I created the wavy pattern about an inch below the rim to add interest to the mug. 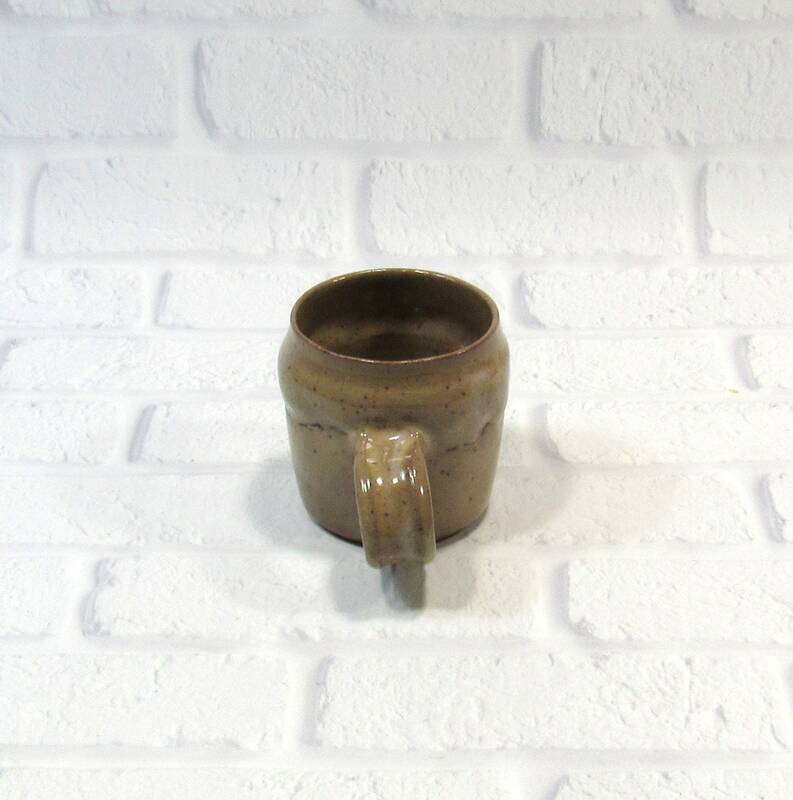 When the clay was dry enough to handle, I trimmed it and added the handle. 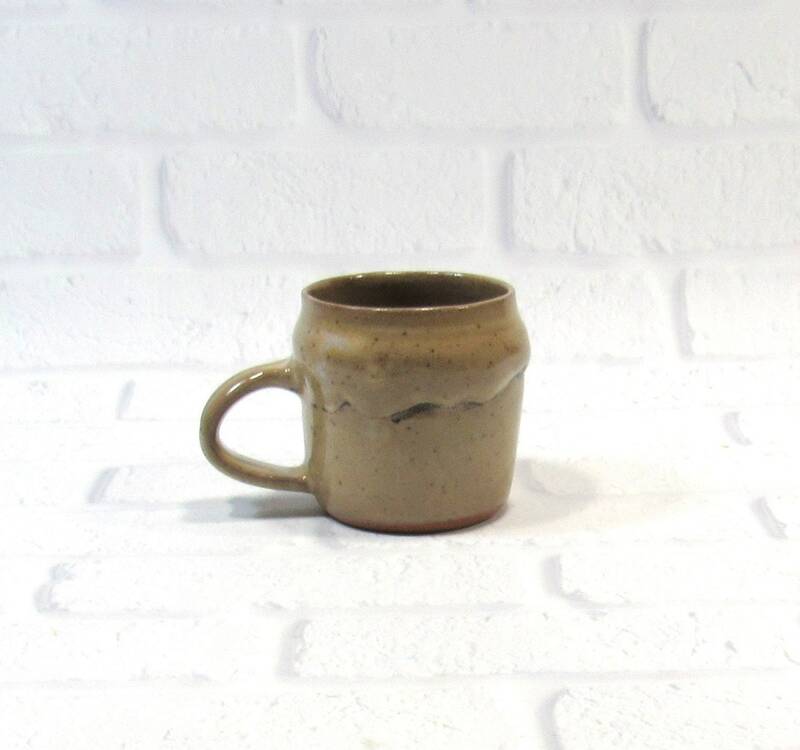 The mug is glazed in a beige glaze with yellow and white tinges. 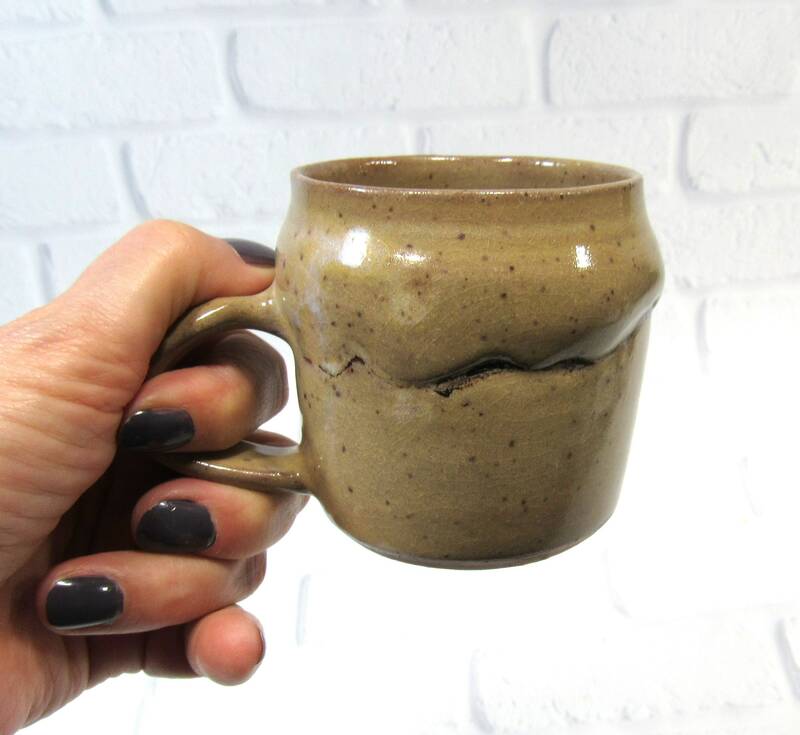 The speckles that show through the glaze are naturally occurring in the clay. 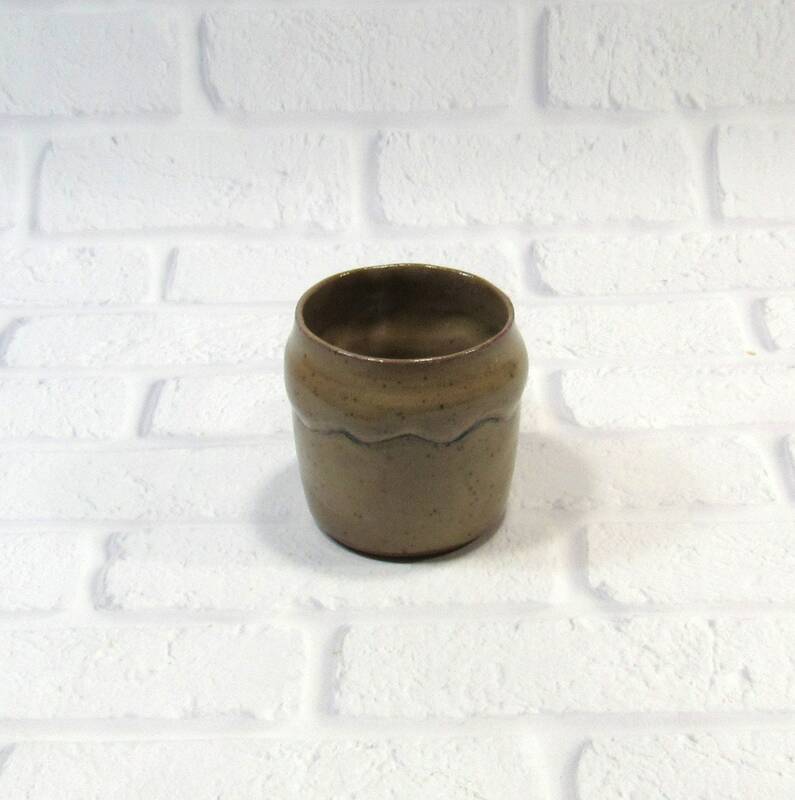 It was fired twice in an electric kiln.